Social media especially in the form of texting on our cell phones is changing not only how we do things but is actually changing who we are. This should be of concern to all of us at Toastmasters as we belong to an educational organization that teaches interpersonal skills. According to a TED Talk by Sherry Turkle, a psychologist and author, says texting allows us to remove ourselves from our environment and how we related to others and how we even related to ourselves. We are losing the ability to have self-reflection. Turkle says we can end up hiding from each other even though we are in the same room. It’s easier to play with our Blackberrys and IPhones rather than interact with other adults. Texting, email and posting all allow us to edit and retouch what we say and how we appear to others. By using this technology we get to control our environment. Turkle says that human conversation is messy. It takes place in real time and you can’t control what you’re going to say. By testing we sacrifice real conversation for mere connection. So when you look across the breakfast table or the boardroom table consider that the person texting is actually experiencing a flight from real connection with you and even from themselves. We expect more from technology and less from each other. We connect more and more and yet we become increasingly isolated and lonely she says. At the beginning of his speech, the President of the United States read the names of the teachers killed at the mass shooting in Newtown, Conn. and one could hear gasps of grief rising from the bereaved. 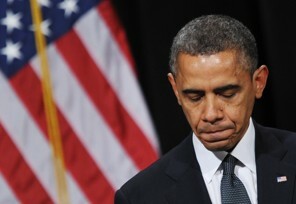 President Obama, speaking from the depths of despair spoke to the hearts of those wounded souls gathered together in Newtown and those gathered in homes and places of worship across America and around the word. Obama spoke of the event and offered words of comfort but it was his questions of the nation that seemed to be the heart of the speech. And as he reached the conclusion of his speech, he read the names of the children who had died. Time will tell if this speech marks a seminal moment in American politics but, regardless of any possible outcome, the Newtown speech is a speech every Toastmaster should listen to and learn from a great orator speaking through the pain of past events to look forward toward a more hopeful future. Newcomers to Toastmasters quickly discover there is much more to being a Toastmaster than just giving speeches. All Toastmaster clubs are learning organizations that provide an educational program that allows us to grow as speakers, listeners and leaders. New members can be overwhelmed or confused about what is expected and thus, many clubs including First Oakville, provide new members with a mentor. It is generally thought that it is the responsibility of the new member to contact their assigned mentor and create a working relationship that suits the mentee. Some mentees never call and initiated the process. Most left before the end of their first year. Some mentees after initiating the process, called often during their first year. Some continued to call on occasion for years afterwards. Some mentees liked meeting in coffee shops during the week to discuss speeches or challenges when it came to unfamiliar roles or duties. Some mentees only communicated by email. You may fire me at anytime for any reason. Not everyone of my mentees has had a successful Toastmaster experience. The key to learning from Toastmasters is to make yourself “teachable”. Not everyone is teachable and those who aren’t tend not to stay with us for long. Some of us (and I’m talking about myself here) had to learn how to become teachable and when we did (even if only a little bit) it made all the difference in the world. Those new Toastmasters who were teachable have gone on to serve our club at the highest levels of service and have garner high awards and recognition for their efforts. If you want to have the very best experience in Toastmasters in 2013 then engage or reengage with your mentor. If you’re not happy with your current mentor, fire them. You’ll be doing both of yourselves a big favour. Set an aggressive agenda for your success and implement it with the help of your mentor. You’ll both become better Toastmasters for the effort. I know I have. An article in The New York Times Sunday edition of December 9th offers some insights on how to be a great mentor. The article comes from the Corner Office column by Adam Bryant who interviewed Tony Tjan, chief executive and founder of Cue Ball about his experience as a mentor. Tjan said he learned from one of his partners who had patterned a mentoring philosophy inspired by Deepak Chopra. What is it that your really want to be and do? What are you not doing well that is preventing your from getting there? According to the article, the order in sequence of these five questions is critical to success as a mentor. You need to understand the mentee’s larger purpose; understand their self-awareness around their strengths; understand the blocks to accomplishing their goals; and understand the mentee’s plan and motivation to change. In our Toastmaster club more senior members mentor newer members. For many newer members, the benefit of this relationship comes more in building an awareness of how to fully integrate oneself into the Toastmaster experience than just learning how to speak in public. Many of our members find equal value in learning how to work with others in group situations and growing their own leadership abilities. It is these skills, along with a better ability to speak in public, that many of our members take with them when they leave our Toastmaster experience. First Oakville Toastmasters 2012 annual Christmas Party was one for the history books. It was sensationally funny and clever and well-organized, zany and full of great fellowship. Held at the Quality Inn, the capacity crowd was wowed by the organizing committee chaired by Toastmaster Irene Linkova. I am not going to attempt to remember everyone who was involved and who served on the organizing committee but everyone did an amazing job. The turkey dinner was perfect. The agenda was completed with gusto and good cheer. 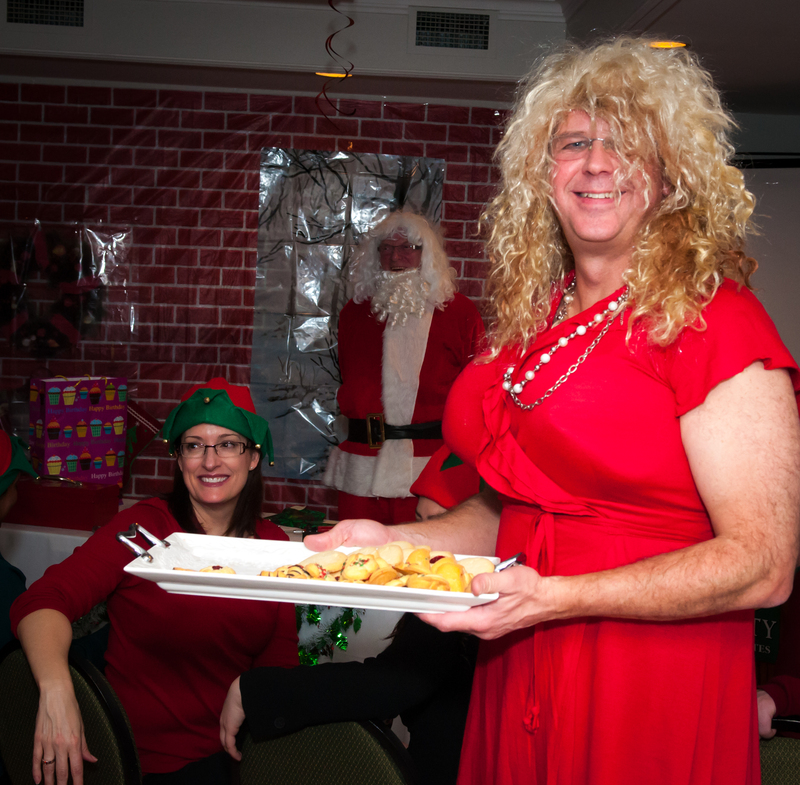 President Linda Rossi put together a great team and if the Christmas party is any indication the annual Charter Party in February is going to be a “not-to-be-missed” event. More photos are available for viewing at Peter West Photo. Here are some thoughts you won’t find in a Toastmaster manual. Over the 17 years I’ve been a Toastmaster I’ve seen lots of people come and go. Some Toastmasters were at so few meetings I really can’t say I ever met them. On the other hand there are some Toastmasters I’ll never forget and not always for positive reasons. Why is this? Here are some things I think every mentor should consider sharing with their mentees. You may not progress in your Toastmaster career as fast as you might wish if you only show up for meetings when your name is on the agenda. Worse, if you blow off assignments or roles and just don’t show up at all sooner or later you’re going to find you’re not getting assigned to any key roles. This may or may not be a conscious thought of that year’s vice president of education who sets the agenda but it is a fact and I’ve seen it happen over many years. Even finding replacements when you can’t fulfil a role, while essential, still results in another lost opportunity for you to get to know your fellow members better and they in turn get to know you. Everyone in a Toastmaster club gets a reputation. It can be a positive reputation for always being there ready to lend a hand or it can be a negative reputation for never being around. Some people come to Toastmasters who are just unteachable. I was one of those. If it wasn’t for the kind, thoughtful and generous (and occasionally brave) intervention by my mentors and friends in the past I wouldn’t have learned that it isn’t “all about me” when it comes to Toastmasters. This is a tough lesson for some of us and some of us leave without ever discovering our true potential that can be found by being a member of Toastmasters. I remember one member who was actually a professional speaker. Their (I’m using the gender-neutral pronoun purposefully here.) speeches were extremely well crafted and delivered but the speaker never learned, after many opportunities, to craft a speech that was actually of interest to the audience. They never connected on a personal level and after some frustrating months, this member left us to continue their speaking career without our help. Giving speeches, even winning contests, contributes just a little to the overall experience that is available at Toastmasters. I encourage my mentees to join committees and volunteer whenever possible and after their fourth or fifth speech to consider joining the executive team. It is by volunteering to help out and joining committees that you get better known to your fellow members. We learn how to take on the more complex roles by succeeding at doing the less challenging roles. This is the beginning of the leadership path that is available to you in Toastmasters. All of this takes time and effort but it doesn’t take smarts or even an outgoing personality. What it does do is help you create a reputation when it comes not only to Toastmasters but to life as well. Not everyone benefits from Toastmasters. Some get it and some don’t want it. Fair enough. First Oakville Toastmasters is a big club and there’s lots being offered here if you hang around long enough to discover it.